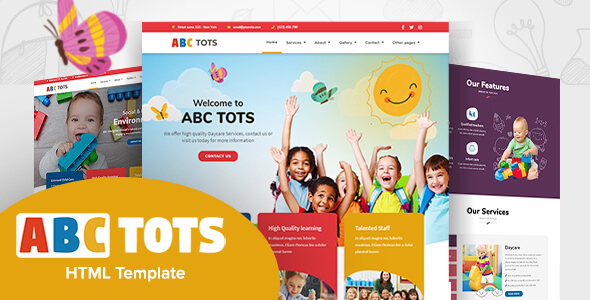 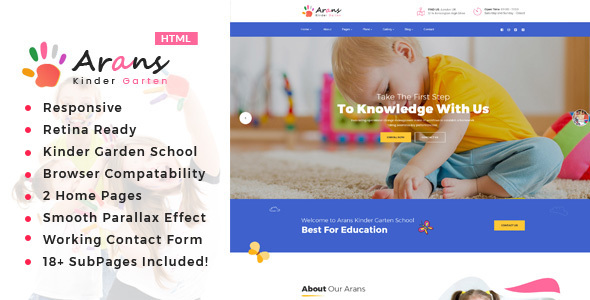 Looking for a daycare related template that will Wow your visitors? 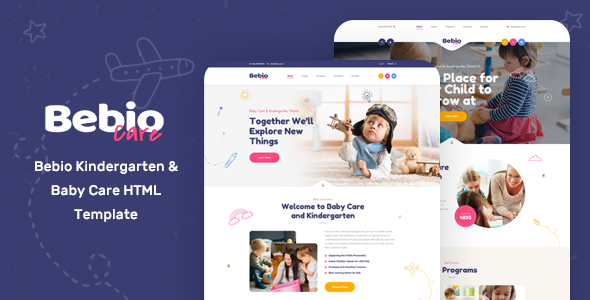 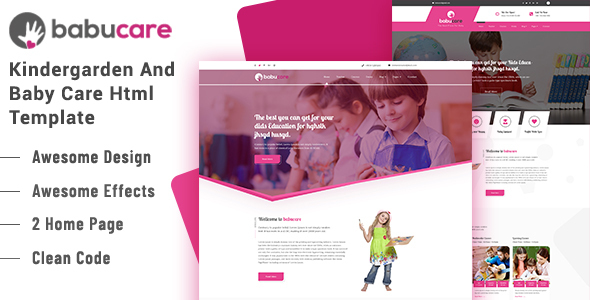 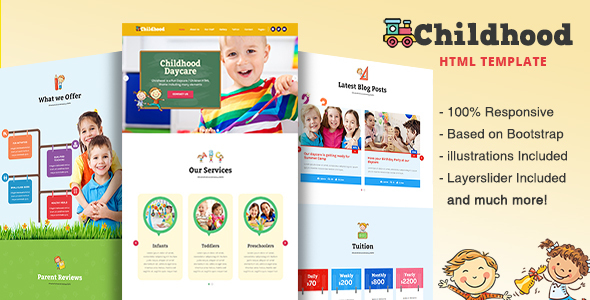 Childhood is a fully responsive One Page HTML5 made for any Children/ Daycare related websites. 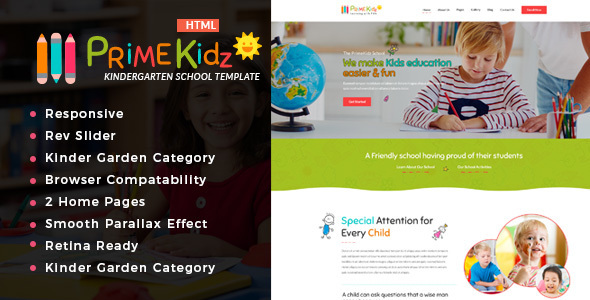 The template includes many fun elements that are very easy to edit. 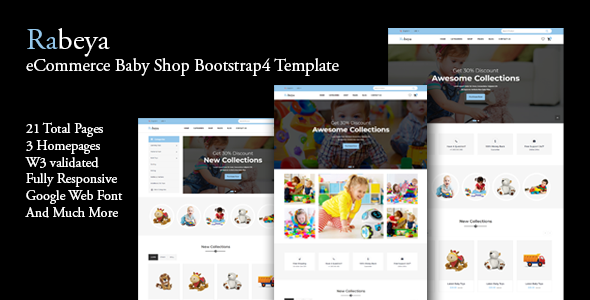 It’s built on the Bootstrap Framework which has a powerful options that makes the theme completely customizable.